Learn about beneficial soil microbes and make a composting system that cultivates them—just in time to compost all the falling leaves! The composting systems we’ll be building are Johnson-Su Composting Bioreactors, developed by local scientists Dr. David Johnson and Hui-Chun Su Johnson. The composting system is entirely aerobic, so it doesn’t need to be turned, and the aerobic microbes that grow in the compost are the same microbes that grow in the top several inches of healthy soils—microbes that have, in many cases, established deeply symbiotic relationships with plants. In greenhouse and field trials, the microbes in the compost have been found to improve seed germination rates when used to coat seeds, improve soil water infiltration and water retention by helping to increase soil carbon content, and increase plant health, plant growth rates, and crop production. Since the Johnson-Su Composting Bioreactors are batch systems—that is, you fill them completely all at once—autumn’s plentiful fallen leaves make this time of year great for building and starting these composting systems. All of the materials and tools you’ll need are provided, and a Johnson-Su Composting Bioreactor is included in the price of registration. Materials for additional bioreactors are available for purchase. 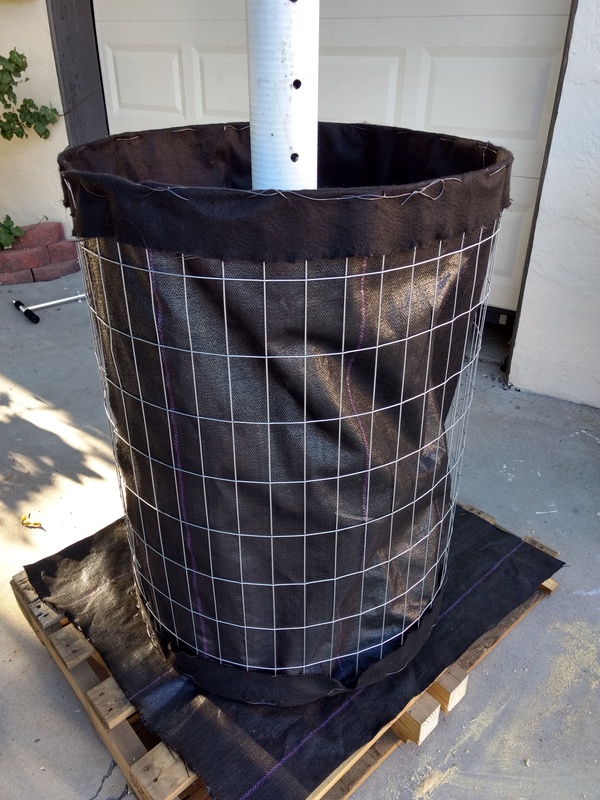 To learn more about the Johnson-Su Composting Bioreactors and how to garden with the beneficial microbes they cultivate, visit https://mesanm.files.wordpress.com/2016/12/johnson-su-composting-bioreactor-technical-manual-version-1.pdf and https://mesanm.files.wordpress.com/2018/08/mesa_meal_technicalmanual_beam.pdf. SINCE SOME OF THE WIRES WE’LL BE WORKING WITH MAY BE RUSTY, BE SURE YOUR TETANUS SHOTS ARE UP TO DATE. Wear long pants with closed-toe shoes, and choose clothing that you don’t mind getting dirty. Gloves and goggles are available at the makerspace, but if you’d like to use your own, please bring them. Patrick DeSimio is a science editor, grant and technical writer, and community organizer who works extensively in sustainable agriculture. He is a team member of the MESA and Seeding Regenerative Agriculture projects, where he works alongside Dr. David Johnson and Hui-Chun Su-Johnson.